Chiropractic First is located at 1609A Chicago Ave., Evanston, IL 60201. We are in the Merion Building (formerly known as the North Shore Hotel). See below for parking and public transportation options. You can reach us at 847-869-1313, or via email at wellness@chiropractic1st.com. Dr. Meggie Smith adjusts on Monday, Thursday and Friday. Dr. Will Vogds adjusts on Tuesdays. Street parking is available throughout downtown Evanston. Parking is free for the first hour in the City of Evanston lot at Church Street and Chicago Avenue. The lot is on Church Street, kitty-corner from Whole Foods. 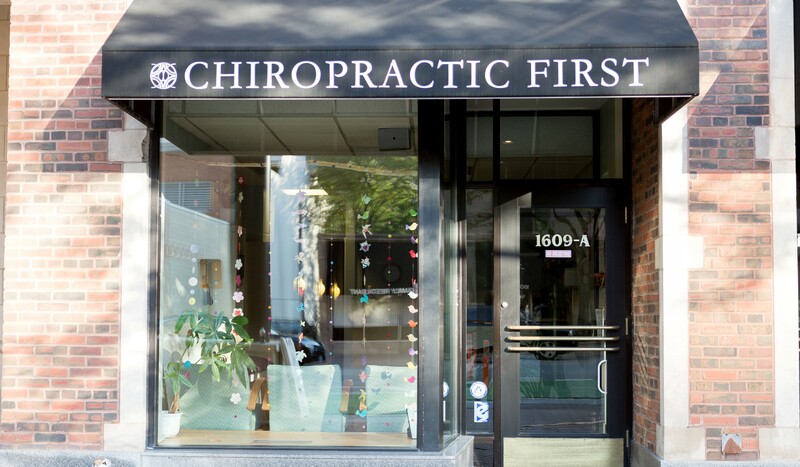 Chiropractic First is a few blocks from the Davis Street Metra station and the Davis Street Purple Line stop.